The 12th annual .net Awards saw Google Chrome, Dropbox and Twitter honoured at a ceremony in London. The awards, sponsored by Nokia, Fasthosts, Packt Publishing, Web Creation UK, Dedipower, Hosting UK, Mr Site and Adobe, saw a 69 per cent surge in voting this year. Twitter not only picked up the award for 'best Community Site' ahead of rival Facebook, but also won the 'Best of the Best' award. TweetDeck – a third-party application developed in the UK for using Twitter picked up the 'Best API Use' award, Diggnation picked up VOD cast of the year and Boagworld the podcast award. Interestingly, Google's browser Chrome picked up the innovation of the year, while Drop Box grabbed the Web Application of the year at the awards – which are organised by the same publishers as TechRadar. 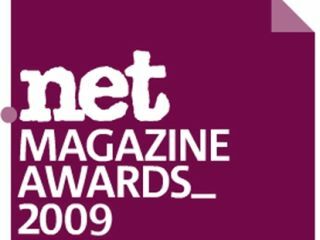 Dan Oliver is Editor of .net Magazine said: "This year's Awards have been more successful than ever - with more than 60,000 public votes being cast. "In each Awards category we whittled a list of nominees down to a shortlist of three - at which point they were sent out to a panel of more than 50 industry judges. "We're confident that this makes the .net Awards one of the most transparent in our industry ­ and it's what makes winning a .net Award such a special achievement. "Not surprisingly, Twitter has been the standout nominee this year, bagging two awards. "In the short space of a year Twitter has captured the imaginations of millions of net users, who have fallen in love with he concept of micro-blogging. "With just 140 characters at their disposal, people have used Twitter to keep in touch with friends, share breaking news, and - in some cases - change government policy and hold journalists, politicians, and other public figures to account. "In 2009, it was impossible to ignore the power of Twitter."